The Sunrise Breezy EC 4000 Lightweight Wheelchair makes getting in and out simple and easy - swing-away footrests swing far out of the way whenever you need to get in or out of the chair. 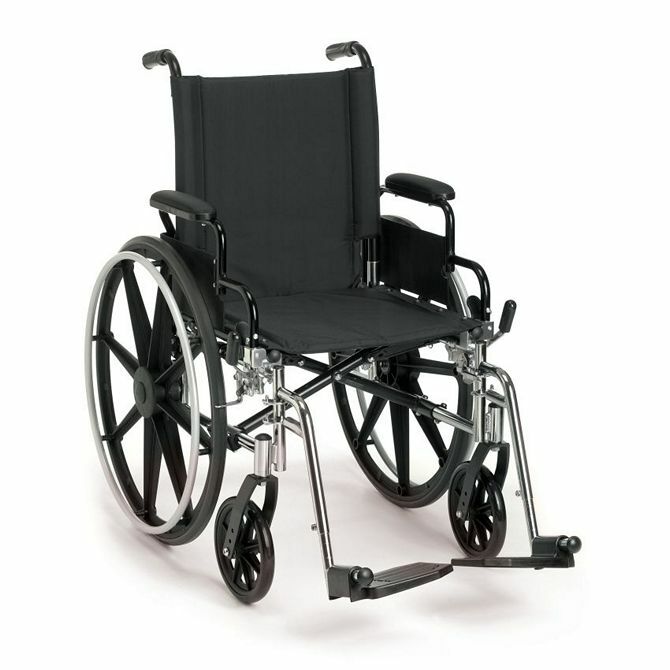 It also comes standard with desk length padded arms, aluminum handrims, low profile tires. The Breezy's adjustable height back and dual axle, semi-height capable design make it easy to use for everyone. Overall Width - Folded: 12.00"